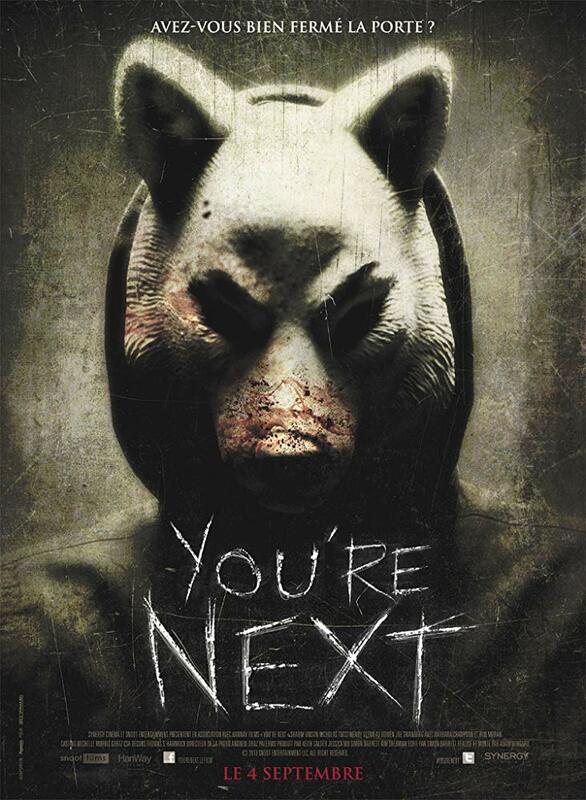 Directed by Adam Wingard (V/H/S), You're Next treads a familiar home invasion path. Written by Wingard's long time collaborator Simon Barrett (The ABC's of Death), a family gathering in a remote house is the setting for the antagonists to attack. Adding some new treatment to the formula, the gather-ees (or victims) is a larger than normal collective, and the bloodshed begins quickly. So oft are films like this high on tension, but low on body count (sometimes if any) and certainly low on gore and splat. This is low on nothing. Plenty of blood letting, action, scares, and definitely tension, are the order of the day. The cast is top notch, with lead Erin played extraordinarily by Sharni Vinson (Bait), and an excellent supporting cast, including Barbara Crampton (The Lords of Salem), Ti West (The House of the Devil), and Larry Fassenden (Southbound). With the third act twist you won't see coming in place, You're Next is an excellent example of the genre, with oodles of talent both in front and behind the camera.